Petyrbolt - a 77 Industries company - has two competing design studios. 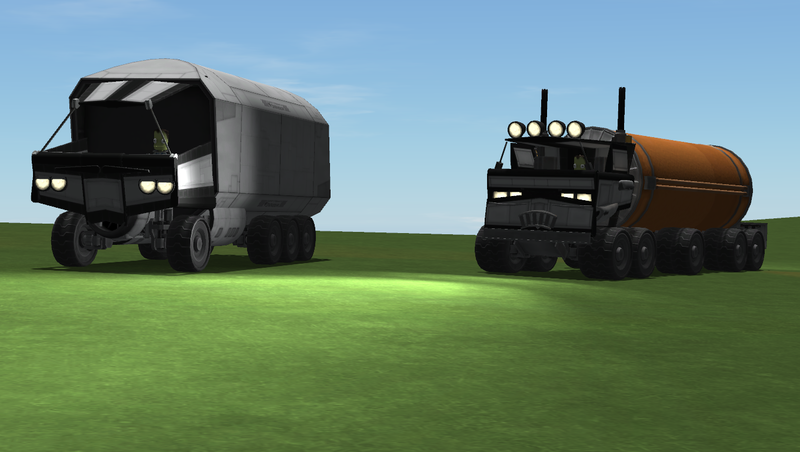 When the management of 77 Industries sent a memo at Petyrbolt with instructions to design a long range fuel truck capable of refueling the airplanes and helicopters anywhere on Kerbin and powered by a single Wheesley turbofan, they came up with these two designs. A hot debate at the table of the board of directors was the result. 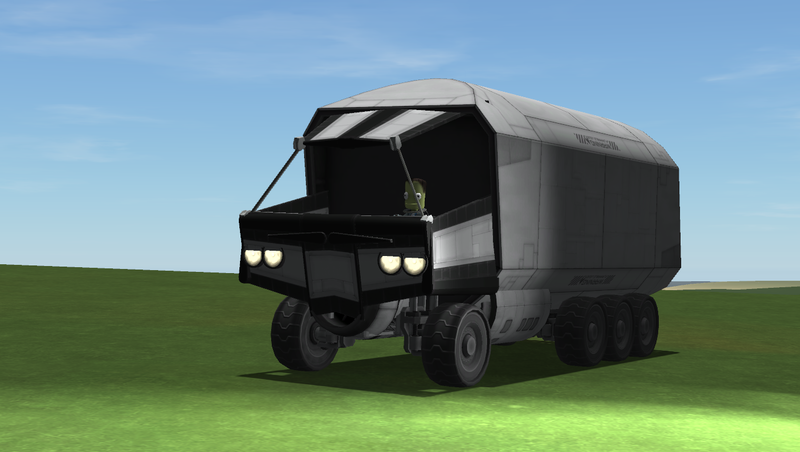 The LRFT can carry more fuel and has only 50 parts, the LRFTOR is much more capable of traversing rugged terrain but has 85 parts. Then late that afternoon the CEO entered the room and after a short glance at the projector screen yelled: look at those faces! and started laughing hysterically. After that the board couldn’t do much else and gave the green light for the production of both types.